Medically, that was pretty much the extent of what we knew about Otto Warmbier. Now, imagine you’re the doctor receiving this patient. You have no medical records, no tests whatsoever, no way of knowing what really happened. Not even the family can help – they, too, have no way of knowing what really happened. Where do you begin? How do you play medical detective to determine the extent of the damage done to Otto Warmbier’s body and what exactly caused it? And can you find a way to help him recover? You begin with the basics, just like anyone coming into any emergency department in America. You take vital signs – respiratory rate, pulse, blood pressure, temperature, pupil responsiveness, general responsiveness to physical and verbal stimulation. You establish an I.V. to support him with fluids and as a way to administer any medications he may need. You begin testing. You take blood for a variety of reasons – a CBC (complete blood count) to be sure, which will give a great deal of information regarding the kinds and numbers of cells in the blood – red blood cells, white blood cells, platelets, leukocyte count, etc. – which give an indication of anemia, infection, blood disorders or diseases, and a host of other things. Something to look for immediately is blood sugar level. A – Alcoholism, Abuse of substances, Acidosis. 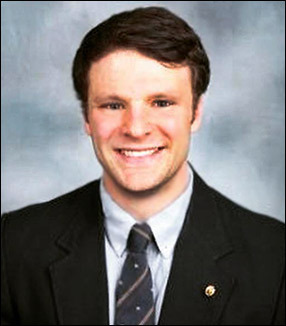 You never know what someone like Otto Warmbier might have been subject to while in captivity, especially in a place like North Korea. You check for alcohol or drug intoxication, diabetic ketoacidosis, hypoventilation due to COPD, asthmatic airway obstruction, or neuromuscular disease. E – Environmental; was there an issue with hypothermia or hyperthermia or evidence of any other sort of environmental issue? Epilepsy; what about an epileptic seizure or a seizure of any kind for any reason? Electrolytes; what is Otto’s balance like – any hyponatremia or hypernatremia, hypocalcemia or hypercalcemia? I’d check for encephalopathy; either Wernicke’s (exhaustion of B vitamins, especially B1, which could lead to neurological symptoms) or Chronic Traumatic Encephalopathy (CTE – which is a degenerative condition found in those who have had repeated blows to the head). Also endocrine disease, where I’d look for adrenal insufficiency or thyroid disease. I – Infection. Sepsis, for sure, meningitis, and a host of other possible infections that could cause a comatose state. O – Overdose of any sort of drug – like more than one sleeping pill. Also, oxygen deficiency, which is what the doctors treating him suspect. That there was a period of time that his brain was deprived of oxygen, causing brain tissue to die and Otto’s lapse into an unresponsive conscious state. U – Underdose; not enough prescription meds to control a condition. I’d also look for uremia, which is excess urea in the blood as a result of kidney failure or heart failure. T – Trauma; and it would just be my medical inclination, but I’d be very suspicious of this – is there any evidence of a concussion or traumatic brain injury, or increased cranial pressure? Tumor; unlikely in Otto’s case, but you never know. You have to rule it out. I – Insulin; what are the levels? Any issues with hyperglycemia or hypoglycemia? P – Poisonings; any evidence of any sort regarding this? Any evidence of nerve agents of any sort, like sarin, for example. People who receive a dose of sarin that doesn’t kill them can ultimately suffer permanent neurological damage. Is there a possibility of psychogenic issues? The emotional and mental stress of sudden captivity in harsh conditions could manifest in physical illnesses. S – Shock; a spinal cord injury could cause neurogenic shock. Also, one could suffer cardiogenic shock caused by a heart attack in which there is insufficient circulation and therefore oxygenation of tissues, which could permanently affect the brain. And there’s always the possibility of a stroke, given the conditions of captivity. The doctors who treated Otto Warmbier described him as having a “severe neurological injury” and that he was in a state of “unresponsive wakefulness.” They also said he had extensive loss of brain tissue. In a statement from his family, they said Otto was “unable to speak, unable to see and unable to react to verbal commands” when he returned to the U.S. He was in bad shape. Sadly, just six days after his June 13 release from captivity in North Korea, he died. As you can see going through the A-E-I-O-U TIPS scenarios, there are so many paths to explore to get to the bottom of what happened to Otto Warmbier and what caused his death. Even after extensive testing, often nothing definitive emerges. Rest assured, his doctors did everything they possibly could to give him a chance to recover. But the sad truth is that it’s likely we may never know what caused his condition or his death.